Spring is a fantastic time to enjoy the great outdoors. With the windows and doors open, it’s important to protect your home from unwanted insects and debris. The Southern Star Group provides a variety of screening solutions for our windows and doors. No matter what style and purpose, we have the perfect screening solution for you. Our standard flyscreen is a fibreglass mesh made of woven fiberglass yarn coated with PVC. This makes it waterproof, rust proof, non-combustible, stain resistant and easy to clean. The standard screen suits most of our timber and aluminium windows and doors and is effective against flies, bees, wasps, mosquitoes and other insects. Aluminium and timber framed options are available with extra customisability. Alternative stronger mesh is also offered for doors in the form of Aluminium and Pet mesh. These options are better suited to coastal and bushfire prone areas, and provide a sturdier screen for high traffic areas where children and animals interact frequently. The Brio pleated screen has been designed specifically for very large door openings. These innovative screens are lightweight, easy to operate and allow large areas to be opened and screened where previously they could not. The pleated lightweight screen can be up to 4.5 metres wide, and with two meeting screens, combine to 9 metres. The Brio is the perfect choice for our Canterbury Timber Bifold and Stacking Sliding Doors, and our Southern Star 200 and 300 Series Aluminium Bifold and Stacking Sliding Doors. Pleated screens are also available for corner units and provide a natural barrier from insects whilst leaving views unobstructed. For those after something tougher, the Heavy Duty sliding screen door for our range of Southern Star Aluminium Sliding and Stacking Sliding Doors is available with Alu-Gard. Alu-Gard mesh is manufactured using strong, non-corrosive black powder coated aluminium and is designed to repel even the most determined intruder. 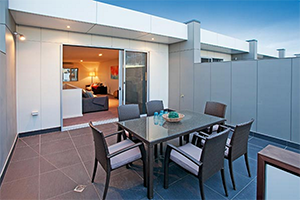 Safety sliding screen doors also suit our Southern Star Aluminium Sliding and Stacking Sliding Doors and come with a more robust and sturdy frame, which provide more security and are ideal for high traffic areas where screen doors are subject to more wear and tear. The Safety sliding screen door comes with an aluminium grill to provide extra security, and can be made with fibreglass, aluminium, pet mesh, or Alu-Gard. Timber bifold doors can be teamed with a Retractable Flat Screen, which is smooth to operate and can be opened and closed with a touch of a finger. Unique Load Balancing Technology frees the screen of heavy springs and latches, instead using only magnets and pulleys. The screen slides horizontally along its track until it comes to a smooth stop and, when not in use, slides back into its concealed housing. Visit a showroom and view our screening options today! Our friendly staff is always happy to assist in finding the perfect solution for each project.